Planning your ideal wedding is hard work and stressful if you try and do everything yourself. With so many great ideas around – and suppliers to make things happen – you have the chance to make your wedding day truly your own. The starting point if you’re looking for wedding venues in Newcastle, NSW is a place that is a great backdrop for a creative event. A venue like the Lake Macquarie Yacht Club, with its waterfront location, is ideal. You will also need a venue team willing to match your specific vision for the day. One of the ways to make your wedding more memorable is to steer away from the usual sit-down feast and evening buffet – if you want your wedding to be unique, then you are going to have to think outside the box. How about turning it into a luxury picnic, to make the most of seasonal foods and the beautiful location? Or a street food style catering affair with different stations preparing varied finger food that people can wander around with. How about a luxury barbecue outdoors? Also, don’t just think about the colour scheme you want at your Newcastle, NSW wedding. Consider giving the room dressers and your guests a special theme for decorations and clothing. 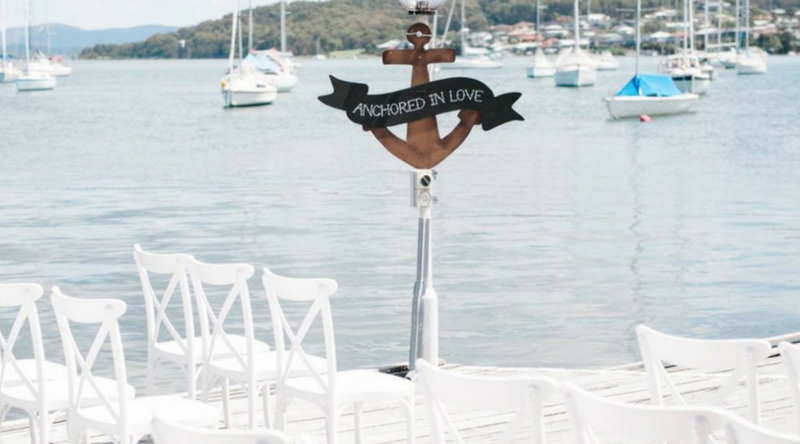 Clearly, a nautical theme looks great at the Lake Macquarie Yacht Club, but it could also be Pop Culture, Romantic Latin, Sea Love, a Day at the Circus or a Night at the Movies for example. Some people have even chosen Superheroes, Gothic, Wizard of Oz and Disney weddings, among a huge range of other quirky themes that were meaningful to the happy couple. That is the point here, whatever you have visualised in your head for years make it become a reality. The entertainment you book and the games you play at the reception can then fit seamlessly into your personal and unforgettable theme. Even the layout of the room can be more fluid these days. For example, some couples choose to seat guests in a giant circle around the top table, rather than create separate clusters. Or, seating can be random and optional thanks to informal food stations. The sky is the limit when it comes to making weddings personal to you if you have a flexible and helpful team at your Newcastle wedding venue. Contact us now to ensure you have the wedding of your dreams at the perfect venue.